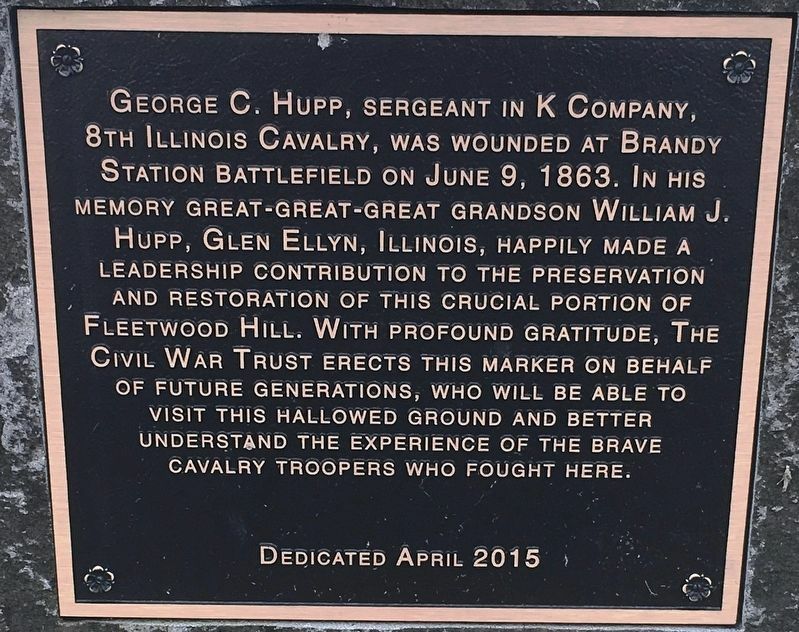 Memory Great-Great-Great Grandson William J.
Cavalry Troopers who fought there. Erected 2005 by Central Battlefields Trust, Civil War Trails and Civil War Trust. Location. 38° 30.571′ N, 77° 52.767′ W. Marker is in Brandy Station, Virginia, in Culpeper County. 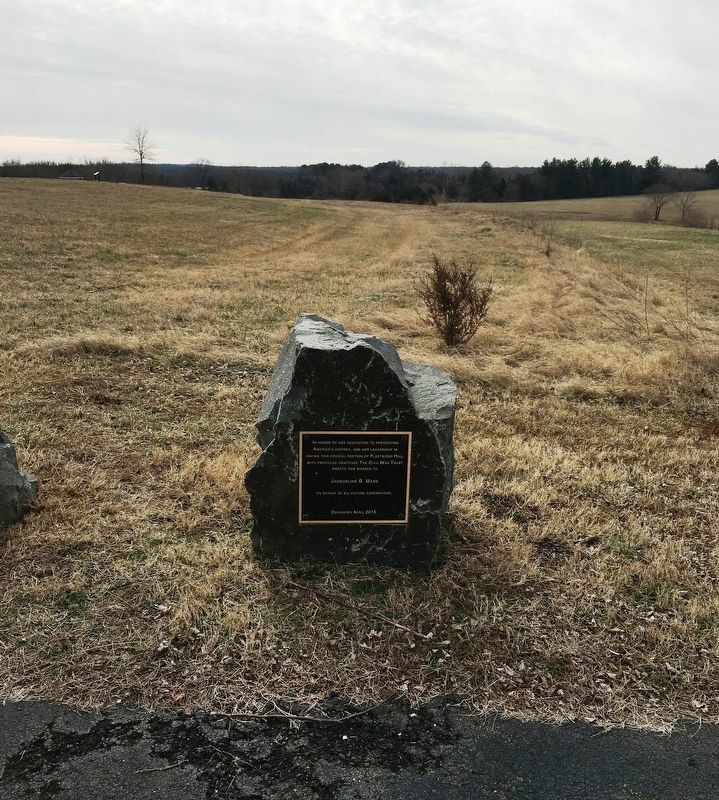 Marker is on Fleetwood Heights Road (Route 865) 0.1 miles east of Stuart Lane. Touch for map. 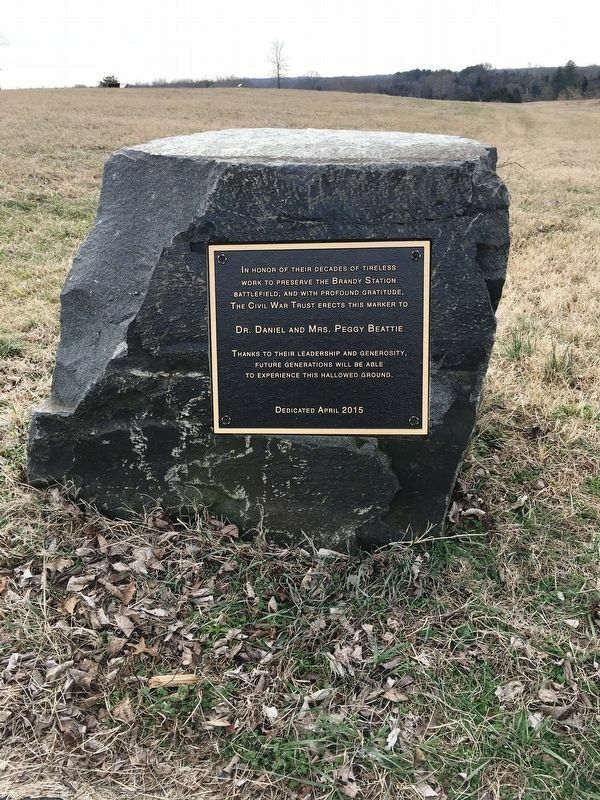 Marker is in this post office area: Brandy Station VA 22714, United States of America. Touch for directions. 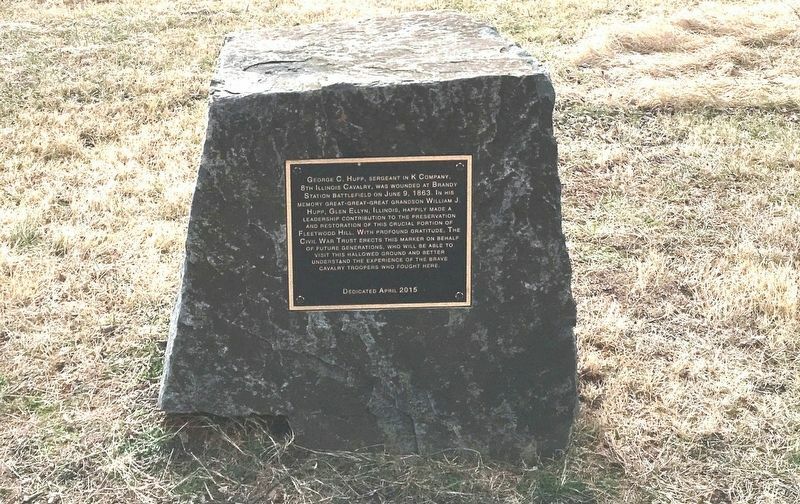 Battle of Brandy Station (here, next to this marker); a different marker also named Battle of Brandy Station (here, next to this marker); a different marker also named Battle of Brandy Station (here, next to this marker); a different marker also named Battle of Brandy Station (here, next to this marker); a different marker also named Battle of Brandy Station (here, next to this marker); a different marker also named Battle of Brandy Station (here, next to this marker); a different marker also named Battle of Brandy Station (a few steps from this marker); a different marker also named Battle of Brandy Station (a few steps from this marker). 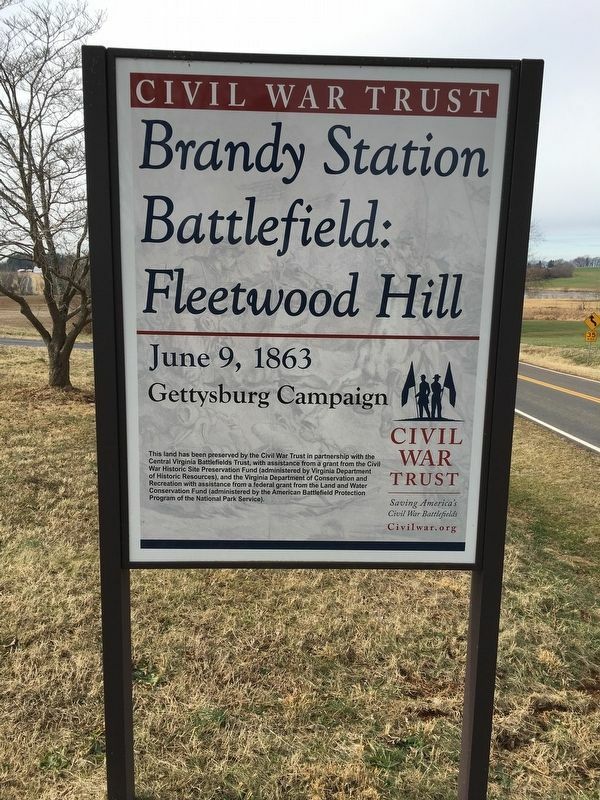 Touch for a list and map of all markers in Brandy Station. To experience this hallowed ground. More. Search the internet for George C. Hupp. Credits. This page was last revised on April 15, 2019. This page originally submitted on April 15, 2019, by Brandon D Cross of Flagler Beach, Florida. This page has been viewed 71 times since then. Photos: 1, 2, 3, 4, 5, 6. submitted on April 15, 2019, by Brandon D Cross of Flagler Beach, Florida. • Andrew Ruppenstein was the editor who published this page.